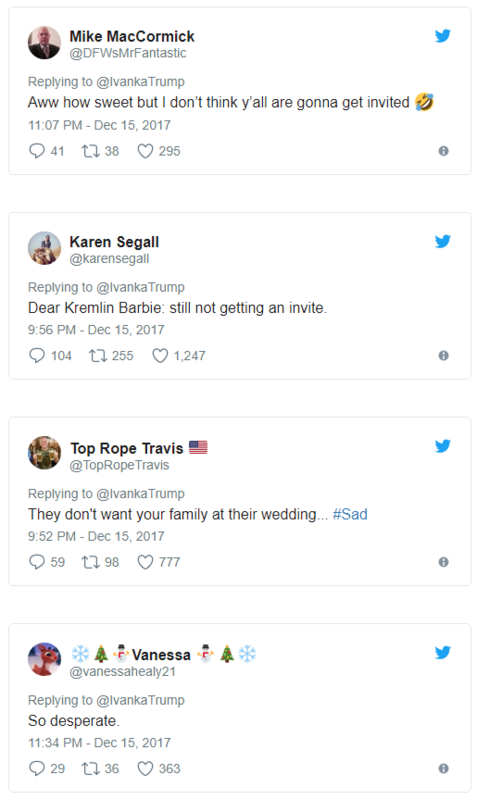 Ivanka Trump sent two well-wishing tweets on Friday congratulating Prince Harry and Meghan Markle for their upcoming wedding on May 19. In the process, she gave many Twitter users a chance to engage in what they do best: get good and snarky. Trump’s tweets may have been truly sincere, but many people thought she had a motive behind her posts. Other people pointed out that Harry already has a close friendship with another American political family. One person noted that it may not be anything personal, just simply that Harry’s family has little in common with the Trumps. To be honest, Harry may have antipathy for the Trumps that goes back to 2000, when Donald Trump told Howard Stern in a radio interview that he would have slept with Princess Diana as long as she had an HIV test first. 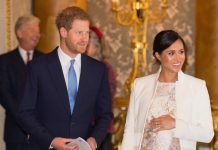 However, during a May 2016 appearance on Comedy Central’s “The Nightly Show,” Markle said she thought Donald Trump was misogynistic and that she might consider permanently moving to Canada should he be elected. 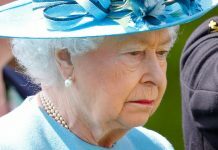 A spokesperson for the royal family declined to comment to People on whether any Trumps would get a wedding invite. If they don’t, it might not be entirely personal. 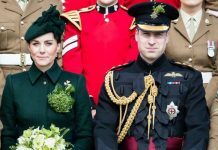 Newsweek points out that security concerns were a reason Obamas weren’t invited to Prince William and Kate Middleton’s 2011 ceremony. However, considering the former president’s friendship with Harry, perhaps he’ll be on the invitation list for the May wedding. If Ivanka really wants to get into the wedding, one person suggested she offer to be an entertainer.